<!-Charles Meryon. 1821-1868--> Charles Meryon. La Rue des Chantres. La Rue des Chantres. 1862. Etching. Schneiderman 85.v/vi. 11 3/4 x 5 7/8 (sheet 16 1/4 x 9). Edition 100 in this state (total printing unknown). the dolphin atop the spire has been replaced by a weathercock. A rich impression printed on cream wove paper. 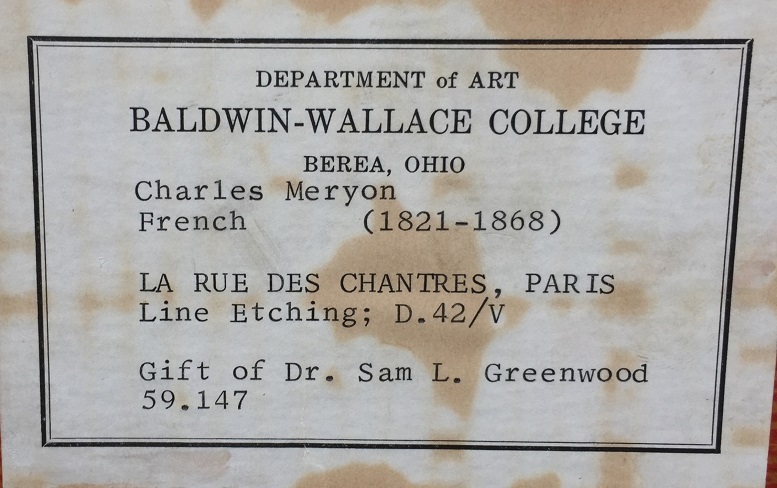 Provenance: deacession of Baldwin-Wallace College, Berea, Ohio. $2,750. The street was so named because the singers of Notre Dame once lived there. This is a composite view, based on separate drawings of the street which Meryon later aligned for the etching. The narrow street is filled with people: some soldiers possibly brawling with two policeman in their midst; a woman carrying bread, with a child; a howling dog. 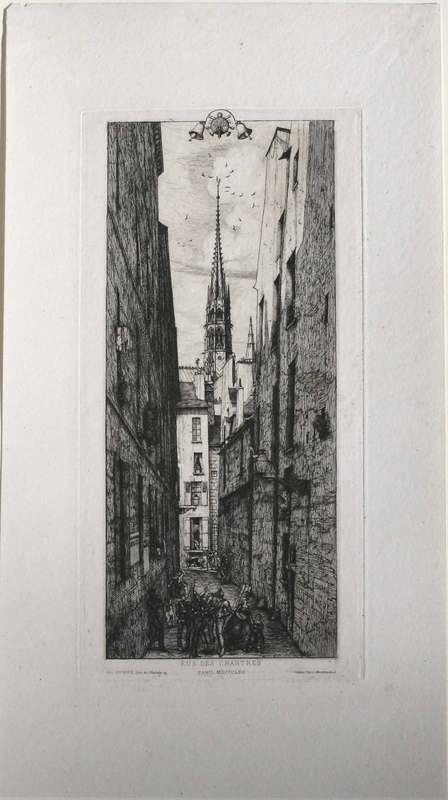 As in so many of Meryon's prints, a spire of Notre Dame rises in the distance.